As people are now moving to a more health conscious mentality, more and more people are intrigued by the benefits that a smoothie has. Packed with vitamins and nutrients from the fruits and veggies, and also with a low calorie, there is no wonder more and more of stores are opening up to selling smoothies currently. I’m sure you must have at bought a smoothie before or at least saw someone drink it. 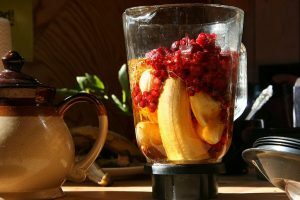 Making a smoothie yourselves at your home is actually a great idea and have lots of benefits. The costs will be cheaper, that’s for sure. Why would you pay $10 for a smoothie when those same amount of money can buy you some vegetables and fruits that can be used to make up to 10 servings of smoothie yourselves? Not to mention the stores will most likely use low grade cheap ingredients. If you make it yourselves, you can choose the quality of ingredients you want, as well as pick the organically grown only. Afraid that your smoothie will come out bad? Don’t worry, there are plenty of recipes in the internet on smoothies. Just type in anything along the line of “smoothie recipes” in google and thousands of pages of recipes will be there for you. Here also, I will guide you on the guidelines of how to make a smoothie. Without a doubt, fruits and vegetables should be the basis of your smoothie. Chop the fruits and vegetables into smaller pieces and you are good to go. I’ve already posted some articles on the best vegetables and fruits that can be used. 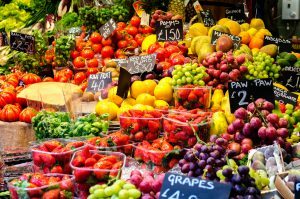 The choice of fruits and vegetables depends entirely on you. If you want to make a cleansing smoothie, green leafy vegetables are a must. Feeling a bit tired and need some energy? You can put in some dates and apples for a quick energy rush. You can also just buy whatever fruits are in season right now and make a smoothie based on that if you need to save some cash. Bottom line is, you can use what ever ingredient you want and feel delicious. After all, what’s the point of making a smoothie if it’s not delicious right? In order to blend the fruits and vegetables, you will need some liquid in it or the smoothie will not really look like a drink. Especially if you are using fruits like banana or dates that does not have much water content in them. A general rule of thumb is to put liquid equals to half of your fruits/veggies. For example, if you use a cup of banana, pour in half a cup of liquid in the blender. For more watery fruits like oranges or watermelon, you can lower the liquid a little bit as the fruit itself has quite some water in them. As for the type of liquid, you can use plain water or milk (either dairy or plant based:soy, almond, hazelnut). Some recipes also use green tea and yogurt as their liquid. Ice cubes is used to make your smoothie cold and give some volume to it. I usually put 3-4 cubes in my smoothies and add some more if I feel the smoothie becomes too liquid. Another trick is to freeze your fruits and use it to make your smoothie. You can also put some sweeteners in their smoothie. A few examples are honey, stevia and agave nectar. When I was starting out and don’t really now which fruits is the best to make smoothies, I always have honey on standby. If I tasted my smoothie to not be really good (too much ginger, fruits not very sweet, etc. 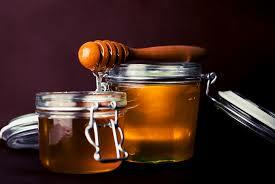 ), I will put 1-2 tablespoon of honey it in and voila, the taste dramatically increase. A total lifesaver =). This is the part where you can include any extra ingredients or superfoods that can give tremendous taste and health benefits to you. Some of my favorites are ginger, chia seed (make sure you soak them in water for at least one hour) and raw chocolate. The simplest part. Just throw in everything into your blender and let your machine do the magic. For this, I would recommend that you use a good quality blender (here is the link to my blender recommendations section). I would like to stress that not all blenders can properly cut all those ingredients you just put into a smoothie. That is why I really recommend using a high quality blender to make a smoothie. 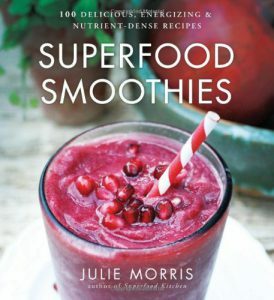 In case you are looking to try some delicious and healthy recipes, there is a very good recipe book called Superfood Smoothies by Julie Morris. The author had compiled 100 delicious smoothie recipes. She also has gone to great lengths to list and explain the benefits of various superfoods that can be used in your smoothie. If you are looking for some fail-proof recipes, grab the book here. Making a smoothie yourselves is not a hard thing to do. Not only that, you can save some money, and make a much healthier smoothie than a store-bought one. Since you are the maker, you are free to choose whatever ingredients to put and the quality of it. Sure, the buying process of the fruits and vegetables can be a chore, but the benefits and satisfaction of making something yourselves will make it all worthwhile. Next Post: What Are The Benefits Of Chia Seeds?